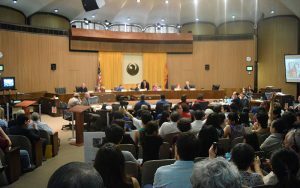 PHOENIX — Members of Arizona’s Chinese community are facing an uncertain resolution when it comes to the future of their beloved cultural center. On Tuesday, a federal judge decided not to grant the Arizona Foundation for Chinese Religious Rights, or AFCRR, an injunction it sought halting any new construction on the site. The decision came as part of a suit from AFCRR against True North Cos., the company that now owns the land the center sits on. The organization had claimed their religious rights were being infringed upon, as the developer planned on tearing down the site and building a modern office complex instead. 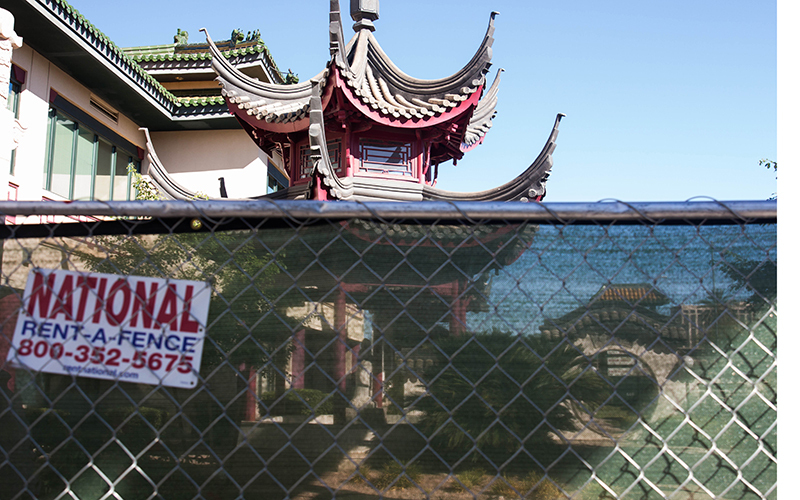 Jonathan Frutkin, attorney for the Arizona Foundation for Chinese Religious Rights, said the lawsuit is meant specifically to stop the destruction of the center and allow people access to the garden. Currently, there is a locked fence surrounding it. During the hearing, he added the Harvest Moon Festival is coming up, highlighting it as an important holiday within the Chinese community. 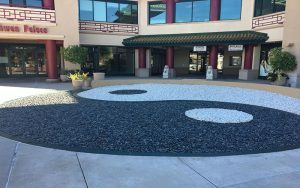 “I would suggest to the court that the cutting off of the prayer garden, which is used essentially, exclusively, by Chinese Americans is exactly what the Civil Rights Act was pointed at,” he said. Cameron Artigue, the attorney representing David Tedesco, the CEO of True North Cos. and his private equity firm, said the fence was put up after True North heard about threats to vandalize or steal the remaining Chinese artifacts on the property. He expressed concern that if the fence was taken down and something happened to them, True North would be blamed, calling it a no-win situation. Artigue said the AFCRR were not citing the correct laws or statutes in their case against the developer. Thomas Simon, a publicist and spokesperson for multiple Chinese organizations and businesses, said the first incident that kicked off the lawsuit happened a couple of weeks ago, when Buddhists attempted to pray in the garden at the Chinese Cultural Center but representatives with True North Cos. stopped them from doing so. Simon said the Buddhists were locked out, had to pray on the sidewalk and that True North threatened to call the police. This account contradicts a press release put out by Jason Rose, a public relations representative for True North Cos. The press release states the garden will be open to the public during business hours, reportedly at a cost of hundreds of thousands of dollars to True North. In an interview, Rose did say the fence is temporary and will only be up during the construction phase. Simon said members of the Chinese community have pooled together $12.5 million and had offered to buy the property, but that True North continues to imply they don’t have the money to do so. “We think it’s more reasonable to expect somebody who’s been here for three months to take the money and go than it is for someone who’s been here for 20 years [to leave],” Simon said. Meanwhile, Rose said the most they have been offered is $10,000 and said they don’t consider it a serious offer. “It’s kind of a moment where it’s speak now or forever hold your peace, you say you want to buy, but if you don’t have the money, then okay and we can all move forward,” Rose said. In his press releases, Rose has repeatedly mentioned Proposition 207, which passed in Arizona in 2006, as a defense. There, he writes that protesters are infringing on True North’s private property rights. In the meantime, the Szechwan Palace is also suing True North, claiming the new owner did not get the required permits to conduct an upheaval of construction. A judge has granted the restaurant a temporary restraining order, requiring True North to halt development on the roof. However, the company can continue any interior renovations. The restraining order is valid until at least Nov. 3, when there will be another hearing to determine whether or not the order will turn into a preliminary injunction, at which point True North would have to halt roof construction through the rest of the trial. Jack Wilenchik, an attorney for the restaurant, said Elizabeth Mann, a founder of the center, established a set of rules when it was created, which True North is now violating. He said in order to make any significant changes, True North will need to put together a board consisting of company representatives, residents of the apartment complex across the street, the nearby medical building and the restaurant. Then they would need to get at least 51 percent of the votes to move forward. Andy Zhang, the vice president of the Arizona Asian American Alliance, said the whole process has been hard on the community not just from a cultural perspective, but also a religious one. 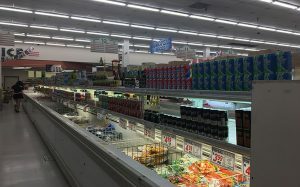 To that effect, members of the Chinese community in the Valley, along with their advocates, said their fight to preserve the center is far from over. Shoppers look around at the Super L Ranch Market in the Chinese Culture Center. (Photo by Angelica Cabral/Cronkite News). Simon said that on Wednesday the Super L Ranch Market filed a lawsuit against Rose, claiming he made defamatory statements in his press release by saying the store had filed for bankruptcy, which Simon said is not true. Rose counters these accusations and sticks by his statements that the market had financial troubles. Aside from multiple lawsuits, dozens of protesters from the Chinese community, also showed up outside a Phoenix City Council meeting Wednesday. Although the city was not set to discuss the cultural center during that session, community members said they wanted to get their message across: the city of Phoenix had wronged them. Jennifer Yang was one of them. She came to the meeting to make a citizen’s comment. She had also previously attended the city council meeting on Sept. 12, when members approved a community funded survey regarding the Chinese center. Cronkite News reporter Stephen Sydnor contributed to this report.